It is during dark times that dark thoughts and feelings creep up. Beware! 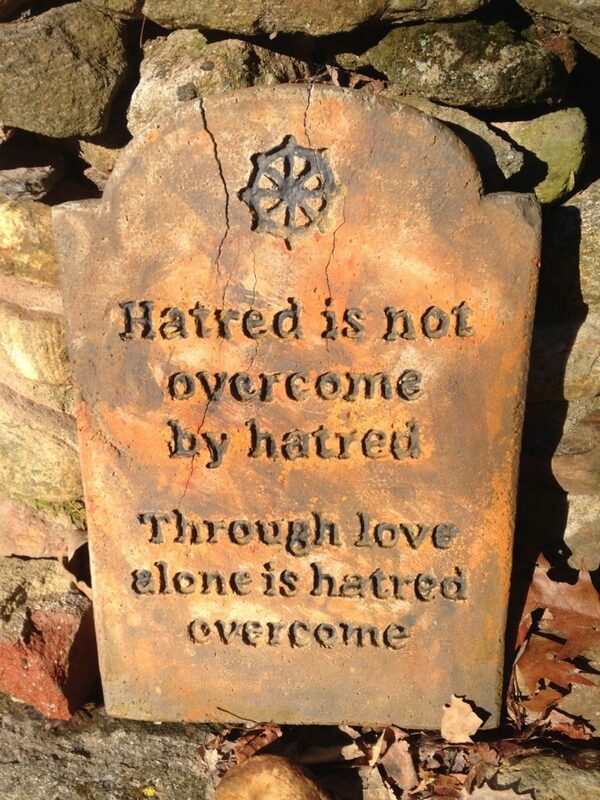 Hatred is not overcome by hatred; through love alone is hatred overcome. Do not feed the dark side with more hostility and rage. This only makes it stronger. Beware, because, in the end, it may engulf and consume you completely. Pause, and ask yourself, “What am I thinking? What am I feeling? “ And if the thoughts and feelings may strengthen the dark side, don’t let them get a hold of you. Try something different. Ask yourself, “How can I dispel these dark thoughts and emotions with love? How can I be a bringer of optimism, hope and peace?” Remember S. T. O. P. — Stop, take a breath, observe, and only then proceed. Be mindful, choose wisely, and respond with love. Piero Falci is an author and educator who believes that the inner work that leads to personal awakening and transformation is indispensable to create a wholesome world. He is an explorer of the mysteries of life who hopes to inspire people to live lives that matter. He is a promoter of peace who believes that Heaven is here, if we want it to be. He teaches mindfulness meditation and mindful living, and organizes Silent Peace Walks. Let the answers to these questions guide our decisions. If we claim happiness, love, and peace as our birthright, and decide to be the most peaceful, loving, and happy individuals that we can be, and do only what expands those sentiments in the world, then, no matter what may happen to us, we will always experience a deep sense of calm and an exhilarating feeling of freedom from the trappings of the world. So, decide to be a living expression of happiness. Decide to be the happiest person you can be. Decide to live mindfully, to choose wisely, and to make of happiness a priority at every moment of your life. Be mindful! Be amazed! Be grateful! Be content! Be compassionate! Be generous! Be happy! Do what makes you happy. Be with who makes you smile. Laugh and Love as long as you Live. Posted on January 29, 2017 June 25, 2017 Categories UncategorizedLeave a comment on Choose Happiness. Choose Love. To all young (and old) artists struggling out there, may this video inspire you and make you think about what inspired him. May this video lead you to think about his connection with the Source of Creation, and encourage you to further explore your own connection. May it inspire you to think of the ways he blesses humanity with what he does, and encourage you to bless humanity with what you do. May it take you to think about the love, peace, and smiles he spreads, and then renew your dedication to elevate the human spirit with your creation. May this video inspire you to think how much he and all of those who came before him want all of this good to expand and go on. Pause for a moment, and absorb this energy! May this video inspire you to think how much he and all of those who came before him want you to be successful. Feel their support and hear their well-wishes and their words of encouragement in the silence of this moment, and allow this energy to live in you! May this video inspire you to think how happy he and all of those who came before him will be if you continue what they have started. Smile knowing that this is your time; you have been entrusted to continue their work, carry on their legacy, and tame the savageness of men with enlightening art. Honor them by being mindful, authentic, and dedicated to your craft. Remember that you get from it what you put into it. Live mindfully, and make each present moment count. Remember that a good life is a collection of good moments, so make the best of this moment, of every moment, moment after moment. Remember that if you follow your bliss, the Universe will open doors for you where there were only walls. 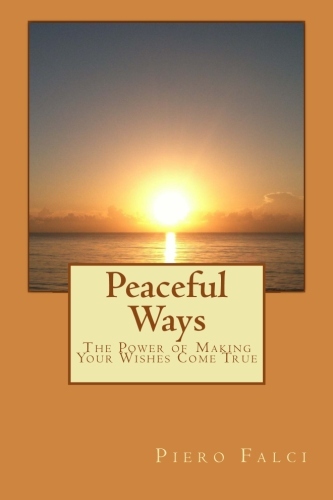 Piero Falci is the founder of the Silent Peace Walk movement. He is an author and educator who believes that the inner work that leads to personal transformation is indispensable to create a wholesome world. He is an explorer of the mysteries of life who hopes to inspire people to live lives that matter. He is a promoter of peace who believes that Heaven is here, if we want it to be. 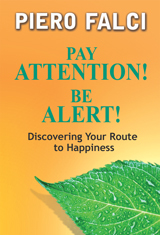 He teaches mindfulness meditation and mindful living. Let us cultivate peace, because the world needs it. 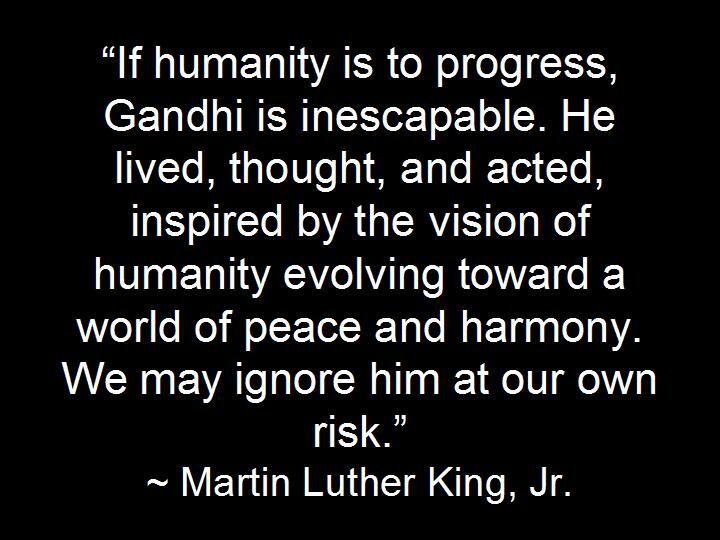 The world needs peaceful people. The world needs us. Let us do what needs to be done to protect this calm energy of peace, and let us avoid all that disturbs it. Let us be vigilant in order not to be another one of those who brings more agitation, anger and hatred to the world. Let us be kind to one another. Let us be the peace we want to see in the world. We have great responsibilities. We must expand understanding, compassion, and love, because this is the most effective way of reducing the ignorance and the hatred in our world. We must live lives that uphold the well-being of others, and see ourselves as bringers of peace, the ones whose mere peaceful presences bring energies of concord to places of discord. Think about it. I am serious. Think about it. “What day is today,” asked Pooh. “It’s today,” squeaked Piglet. “My favorite day,” said Pooh. The best days are the ones we contemplate, the ones we live mindfully, paying attention and being amazed by the Magic, Mystery and Miracles that surround us. The best days are the ones in which, by practicing mindfulness in silence, we see all the riches that the Universe has bestowed on us, and realize how wealthy we already are. 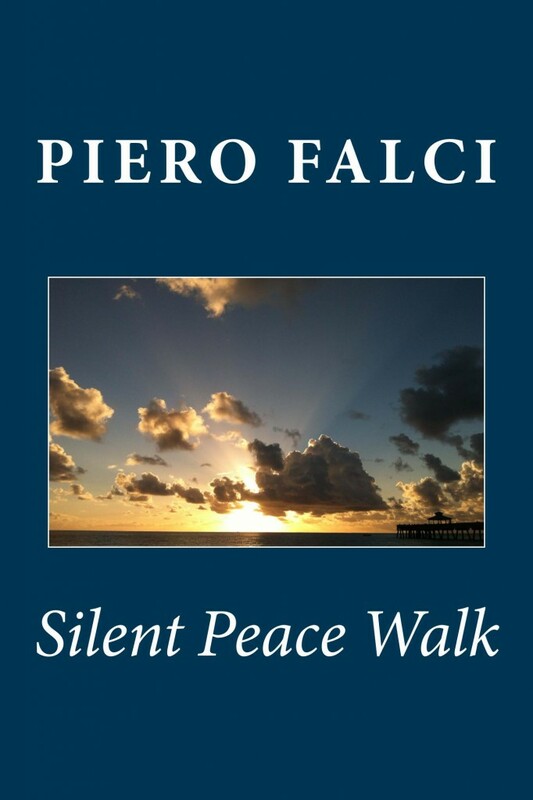 Piero Falci is the founder of the Silent Peace Walk movement. He is an author and educator who believes that the inner work that leads to personal awakening and transformation is indispensable to create a wholesome world. He is an explorer of the mysteries of life who hopes to inspire people to live lives that matter. He is a promoter of peace who believes that Heaven is here, if we want it to be. He teaches mindfulness meditation and mindful living. Back in 2007, when he was 14 years old, my son Mateus was a speaker at our city’s annual MLK, Jr. Celebration. 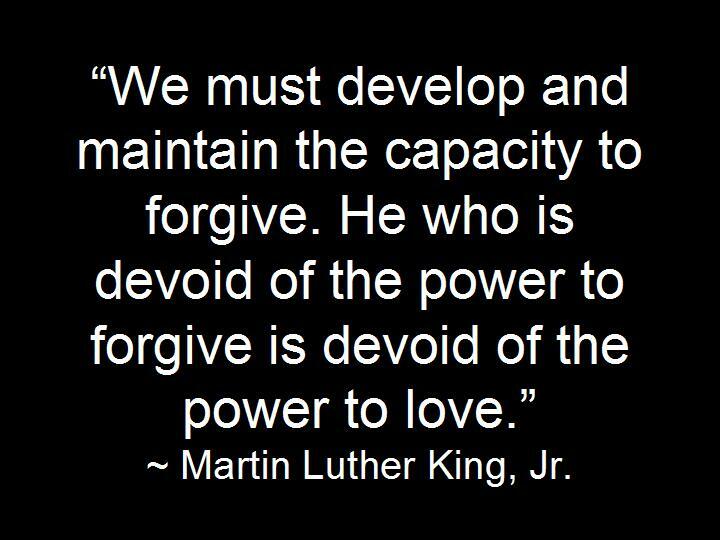 He mentioned many quotes of MLK, Jr. during his speech. These are two of them. 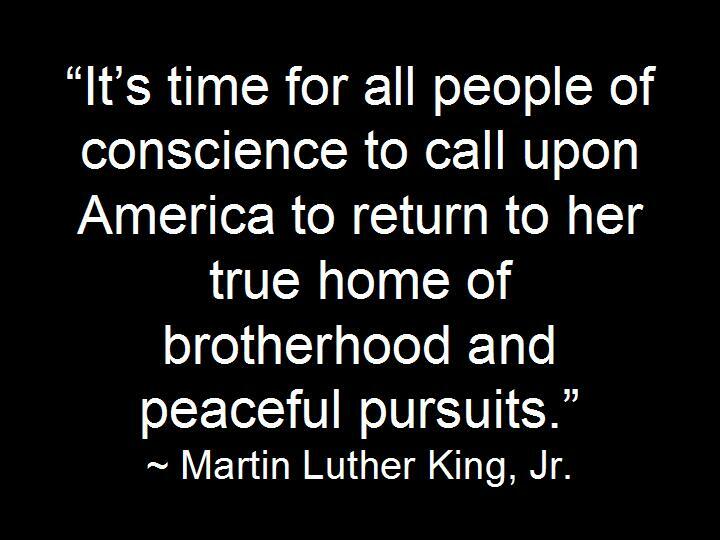 Take some time today to reflect and be inspired by the great Martin Luther King, Jr.
Piero Falci is the founder of the Silent Peace Walk movement. He is an author and educator who believes that the inner work that leads to personal transformation is indispensable to create a wholesome world. He is an explorer and inspirer who encourages people to live lives that matter. He is a promoter of peace who believes that Heaven is here, if we want it to be. He teaches mindfulness meditation and mindful living. Back in 2007, when he was 14 years old, my son Mateus was a speaker at our city’s annual MLK, Jr. Celebration. 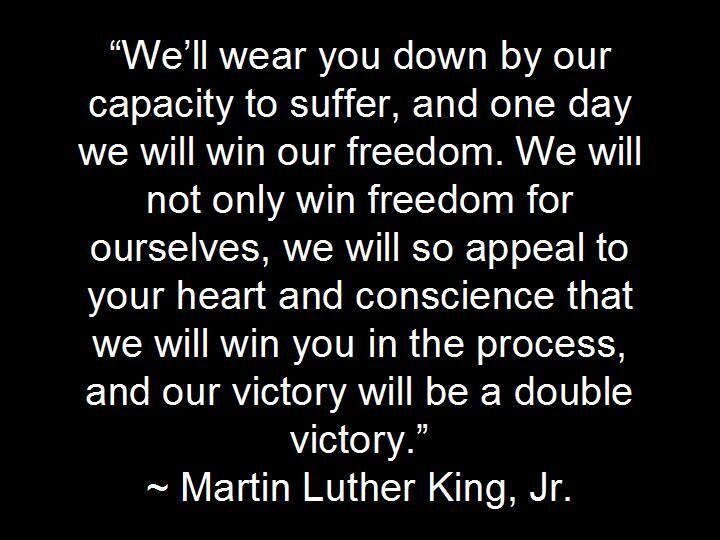 He mentioned many quotes of MLK, Jr. during his speech. This is one of them. What have the Forces of the Universe summoned you to do? You know what you have to do. Put yourself in motion and give the greatest contribution that you can give. One of the elements of Joseph Campbell’s “Hero’s Journey” is the “Call to Adventure,” that persistent call from the Forces of the Universe summoning us to do what we must do if we are to fulfill our purposes and live lives that matter. What is your mission in life? The Universe is calling. Answer the call! It is not easy to live in America if the color of your skin is not white. It is not easy to receive the recognition, respect, and reward you deserve for the excellence of your work if you are not a man. Life is twice as difficult if you are a black woman working among white men in America. Last night I watched “Hidden Figures,” a well-crafted and sensitive film that generated deep reflections in me about gender and racial inequality in this country of ours. Directed by Theodore Melfi and written by Melfi and Allison Schroeder, the film is based on the nonfiction book of the same name by Margot Lee Shetterly. It tells the story, among others, of Katherine Johnson, the African American mathematician who calculated flight trajectories for NASA’s Mercury and Apollo programs while facing the difficulties of being a black woman in the US, and in a workplace populated and dominated by white men. It made me realize, once again, that even though I can empathize, I really can’t fathom what it is to be black, or a woman, or a black woman in America. It made me think of the tremendous advantage I have simply for the mere fact that I was born a man, and white. It made me realize, once again, that the majority of the white population of this country go through life in a state of oblivion, completely unaware of this immense and gratuitous privilege. But it is evident that we are making progress, in spite of all the push-backs. We are realizing that prejudice, bigotry, discrimination and segregation are expressions of ignorance and fear. It is becoming clearer that we, all of us, are crew members of the same spaceship that is traveling through cosmos, and that we need to work together if we want Planet Earth, our space vehicle, to last. There is a scene in the movie when Al Harrison, the head of the NASA program played by actor Kevin Costner, dramatically puts an end to segregated bathrooms in that NASA facility. The scene ends with him saying, “Here at NASA, we all pee the same color.” I guess that all of us — blacks and whites, women and men — are coming to terms with this. I highly recommend the film. Watch it. 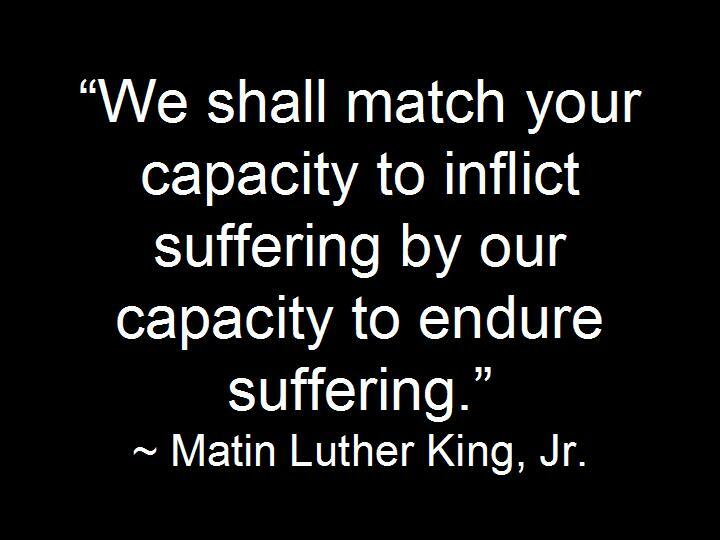 May it touch you and inspire you to continue the work of growing in understanding, educating, dispelling prejudice, and bringing more justice and peace to our world. 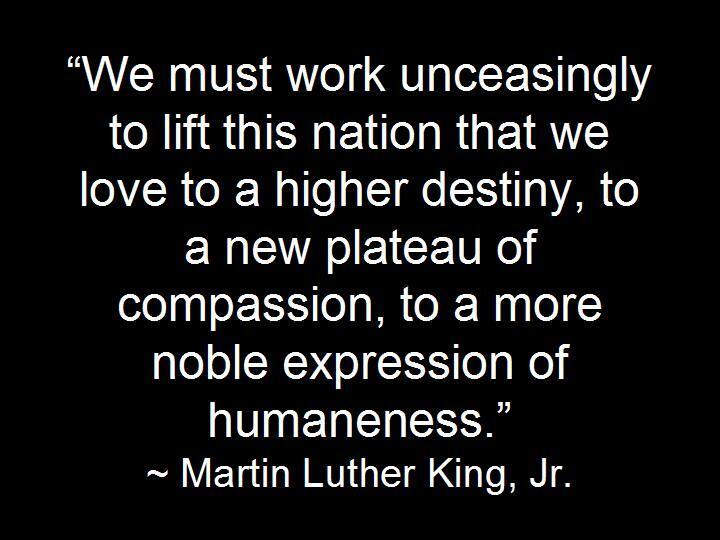 Let us remember what Dr. Martin Luther King, Jr. told us: “Injustice anywhere is a threat to justice everywhere.” Let us give of ourselves to create a gentler world for all because, in the final analysis, we are all in this together.